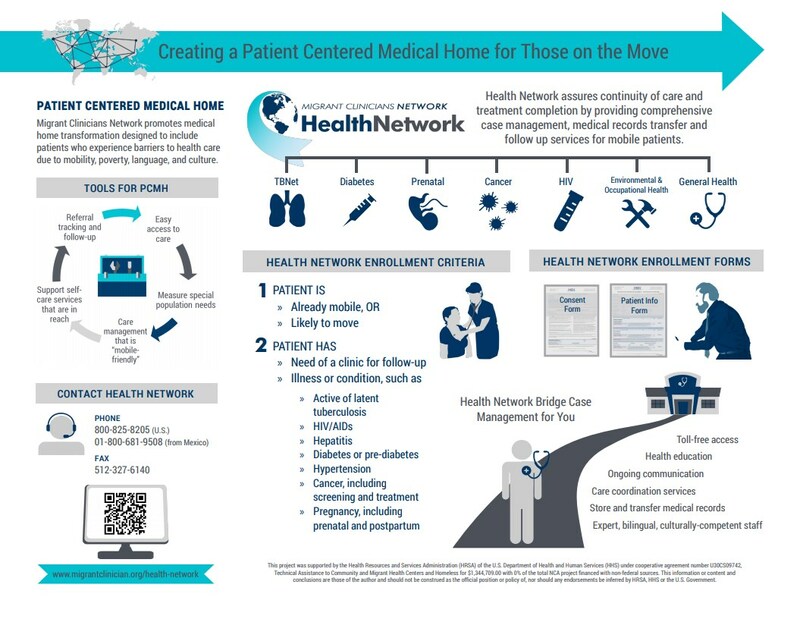 How can a health center provide a Patient Centered Medical Home for patients on the move?Migrant Clinicians Network (MCN) endorses a Patient Centered Medical Home (PCMH) model that assures care for all patients. MCN promotes medical home transformation designed to include patients who experience barriers to health care due to mobility, poverty, language, and culture. 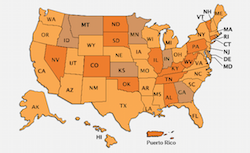 The mobile poor like migrant workers tend to have higher than typical rates of occupational and environmental health conditions, late diagnosis of preventable and chronic disease, significant levels of stress and trauma-related behavioral health concerns, neglected oral health care, and complex social determinants of health. Consequently, adaptations within the PCMH framework are necessary for positive health outcomes. An adapted mobile medical home emphasizes the need for intensive primary care both in-center and in the community with an emphasis on self-management, an integrative approach between disciplines and across sites of care, and an increased capacity for health information technology to be transmitted despite geographic and cultural interfaces. The following poster was presented at the 2015 Midwest Stream Farmworker Health Forum in Albuquerque, New Mexico by Migrant Clinicians Network's Ricardo Garay, Health Network Manager. Contact MCN to find out how Health Network can be used as a tool for clinics working with mobile patients and increase your ability to qualify for Patient Centered Medical Home accreditation. Health centers that are designated as Patient Centered Medical Homes aim to connect primary care, private practice providers, specialists, hospitals, outreach, and behavioral health, along with relevant community-based organizations, to not only deliver care but to support healthy lifestyles and safe environments for the community. Studies suggest that implementing an effective Patient Centered Medical Home framework will increase patient acceptance and satisfaction while reducing the total costs.